No matter how much you love your skinny jeans, but you all agree with me that cut-offs shorts are one of the most sexiest bottoms on fashion scene! 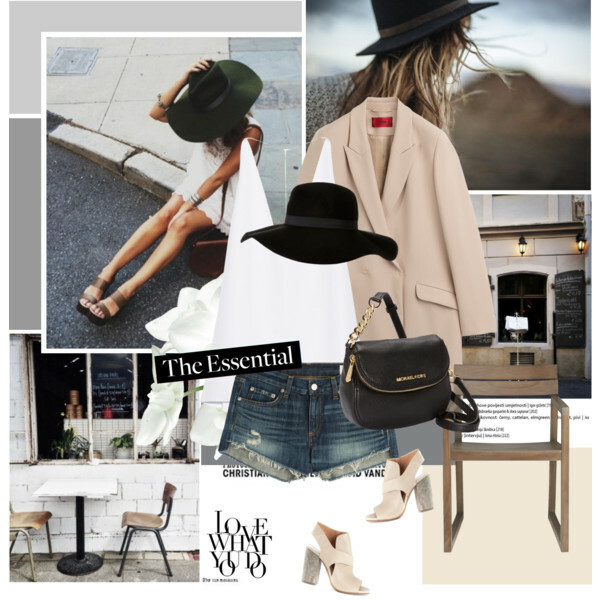 In this post I want to draw your attention to my favorite combos you can try this Autumn. Whether short and high-waisted, loose, distressed or ripped, a pair of denim shorts can make you look special and feminine. We all know how to wear them in hot weather, but how to make cut-offs look and feel awesome during cold weather days? Lots of things depend on your country weather conditions. I know many warm places, where you don’t feel cold in such months, like September, October and November. Anyway, if you think it’s gonna be cold for showing off your skin, then you can always go for tights under cut-offs. I am pretty sure, there will be no problem for you to find numerous of amazing combinations on how to pull out these cool denim bottoms. All in all, for inspiration, I gathered my favorite looks you can easily recreate this year. Scroll down to see more! Light blue classic cut-offs are ideal match for wearing with this cozy multi-striped sweater. Complete this combo by adding light grey suede satchel shoulder bag and cream-white espadrille flat sandals.